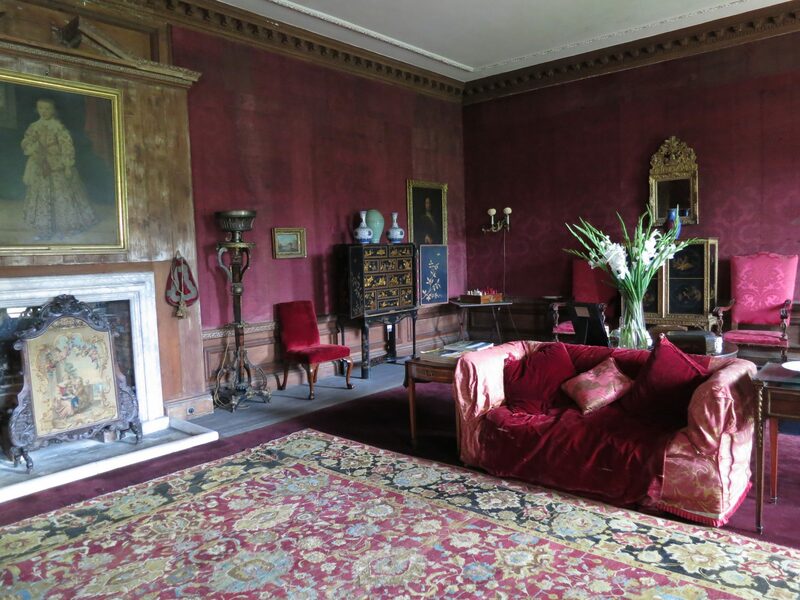 Diamonds, Duchesses and decay, West Horsley Place has it all. Throw into the mix a TV icon and an unexpected inheritance and you have the makings of a movie plot. Unreal as it sounds, it’s all true. 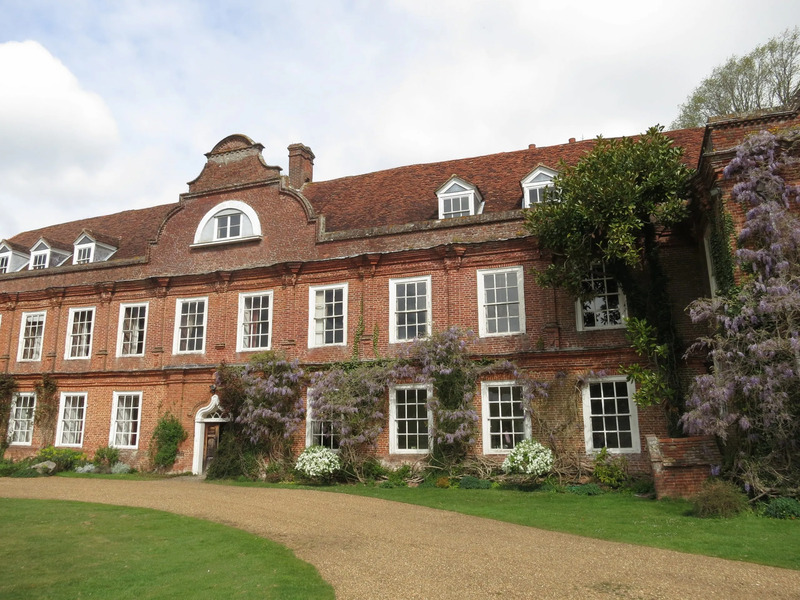 West Horsley Place was the country home of the Duchess of Roxburghe until she died, aged 99, in 2014 leaving the house, contents and estate unexpectedly to her great nephew Bamber Gascoigne. So many repairs are needed to 500 year old house that Bamber has decided to call in Sotheby’s to sell the contents in order to fund the restoration. Barely a tenth of the 50 rooms has been used in recent decades, in some of them experts had to be called in to prise the shutters open. Many forgotten treasures have been found under dust sheets and mouldering in decaying annexes. The most amazing find of all was the only known head study for Lord Leighton’s iconic painting Flaming June. The pencil and white chalk drawing was last seen reproduced in the Magazine of Art in 1985. Simon Toll, Sotheby’s Victorian art expert, saw the drawing hidden in a small dark windowless room, remembered reading the article many years ago and recognized it for what it is. Elsewhere a decaying outhouse was discovered to contain boxes and boxes of monogrammed crystal and an enormous Minton dinner service adorned with the Crewe family crest. Cupboards were found to contain full sets of servants’ livery – all brocade and silver frogging (estimate £3–5,000). 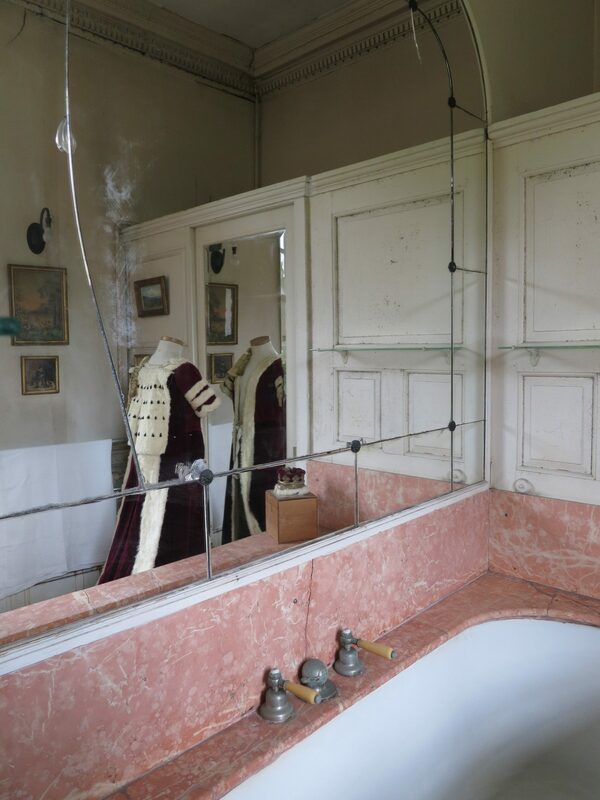 One door that had to be forced open was found to conceal an abandoned art deco bathroom currently home to the Duchesses coronation robes and coronet (estimate £4–6,000). Red silk wall hangings, family portraits and a Bechstein piano were found lurking in a room with the original Tudor ceiling visible and some of the three miles of packed bookshelves that line much of the house. Sotheby’s auction raised £8.8 million. Flaming June tempted somebody to part with £167,000. 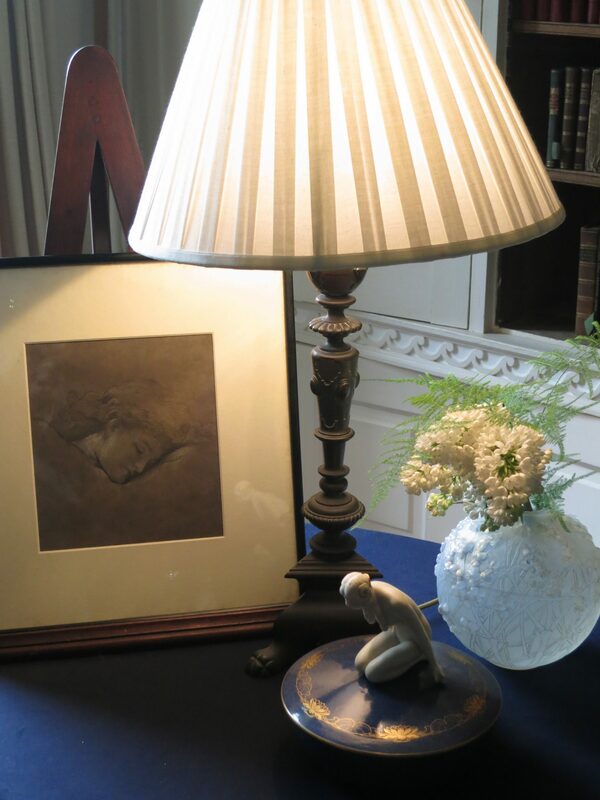 Bamber Gascoigne has transferred the house, estate and proceeds of the auctions into a trust. The proceeds are being used to restore the West Horsely Place. It is intended that the house will become a centre for performing arts and craft. The Crafts in Focus Christmas Fair will take place in the house 27 November – 1 December 2019. If opera is your thing an opera house has been built in the grounds that is home to Grange Park Opera. If you are looking for wedding venue then West Horsely Place could be all yours for the day, or just one room if you have a smaller group. The house also earns her keep as a film location and has a starring role in the BBC’s Ghosts.